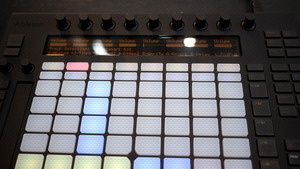 KitMonsters – Ableton Push. The music makers’ guide to making music. 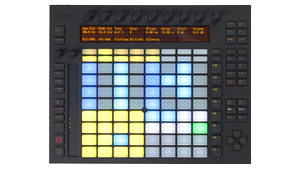 Ableton Push is a powerful instrument and digital audio workstation, with a really intuitive feel. 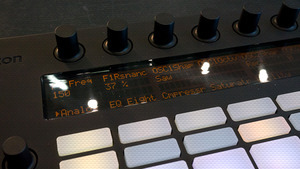 It is specially designed for making beats, with step sequencing and pad modes that work side by side. You can make a song from scratch on the Push, and Ableton say it’s not just for musicians making electronic music, but is a tool for all genres. When playing instruments, Push’s pads “fold” a keyboard’s worth of notes to its 64 pads. Different pad colours show the key centre, other notes that are in the key, and any notes you’ve already recorded. Push’s condensed, symmetrical pad grid means large intervals can be reached easily, and melody and chord patterns can be played using the same fingerings in every key. It even has a touch slider for pitch bend. 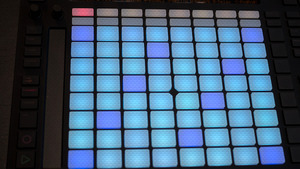 Ableton Live software powers it, and if you switch to your computer, the music you made on Push is already laid out in there for easy extra editing.